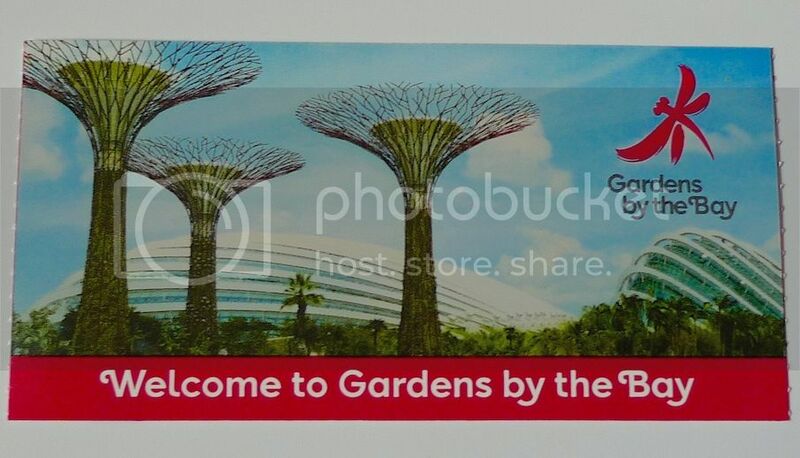 I visited the famous Gardens by the Bay in Singapore on Christmas Day last December. 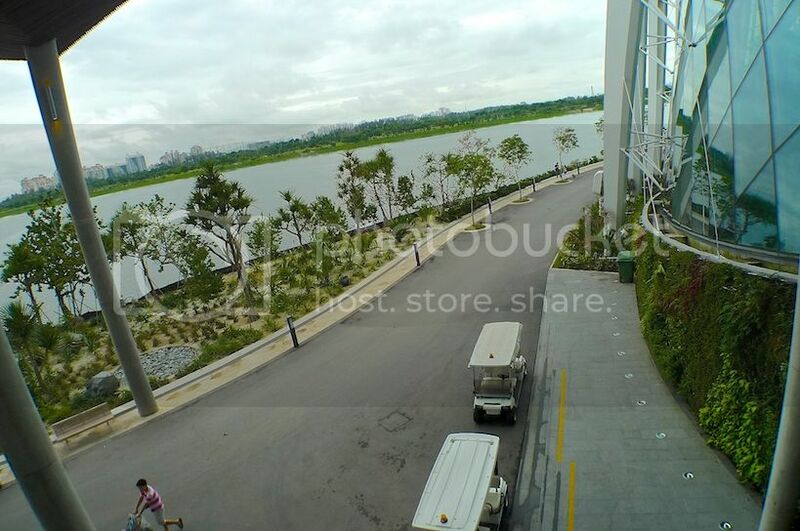 It was my first time visiting this huge park spanning about 101 hectares (250 acres) of reclaimed land, adjacent to the Marina Reservoir. 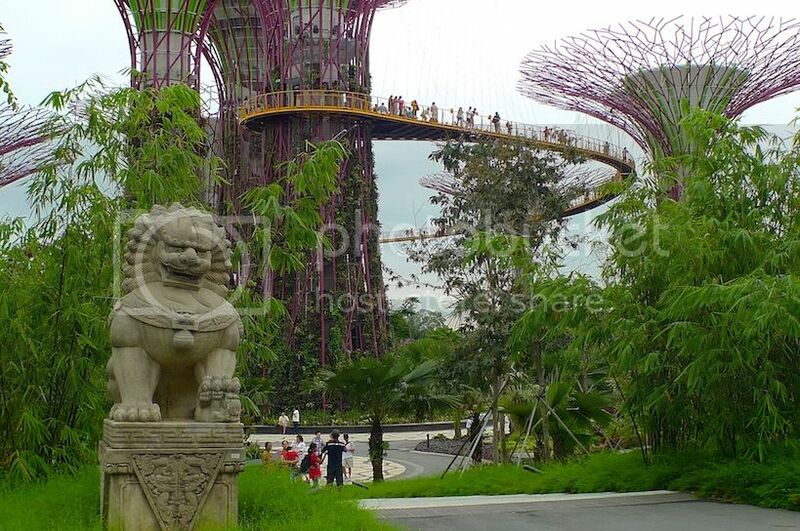 If you have not read about the amazing Supertrees and other attractions in this park, do click on the links below before continuing with this post. 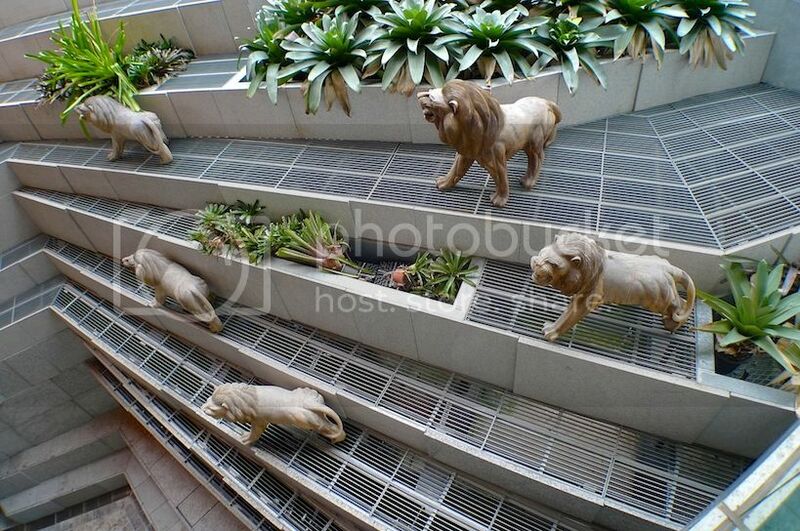 Besides the outdoor garden, there are two cooled conservatories which are major attractions in Gardens by the Bay. 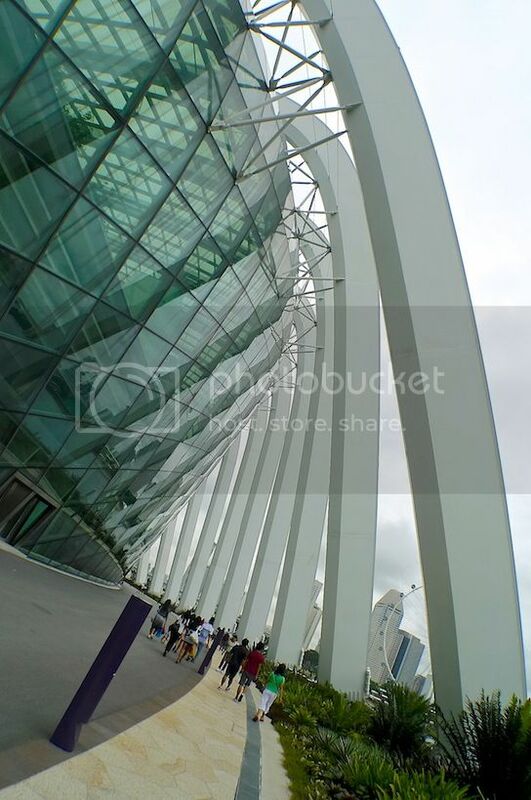 Below is a photo I captured of the two conservatories, which are uniquely designed glass domes. The slightly higher dome on the right is the Cloud Forest and the larger dome on the left is the Flower Dome. 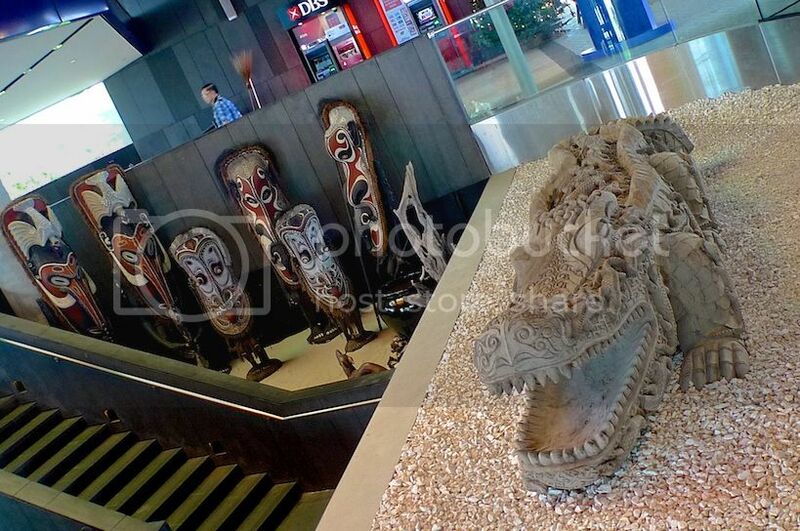 To access these two conservatories, you need to buy a ticket priced at SGD28 (USD22.60 / RM68.60) for foreigners and SGD20 for locals. 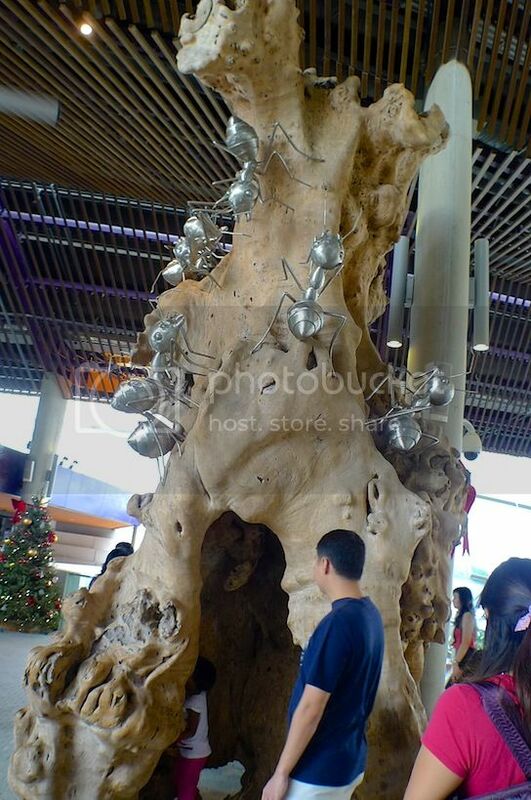 So after I left the Supertree Grove (picture above), I walked to the two conservatories. Reaching the ticketing counter, I queued up and buy my ticket. Fortunately, the queue was not very long. 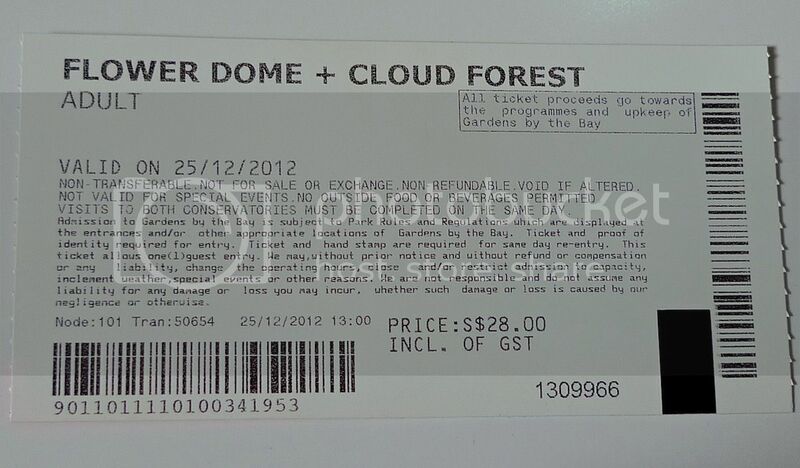 This is the back portion of the ticket. I've decided to visit the Cloud Forest first. Reason being I just like the name Cloud Forest. In my mind, I could picture the image of a beautiful, misty forest in the clouds. Haha! But before I enter the Cloud Forest, I walked around to take some photos. There were quite a number of things to see. Like this crocodile. 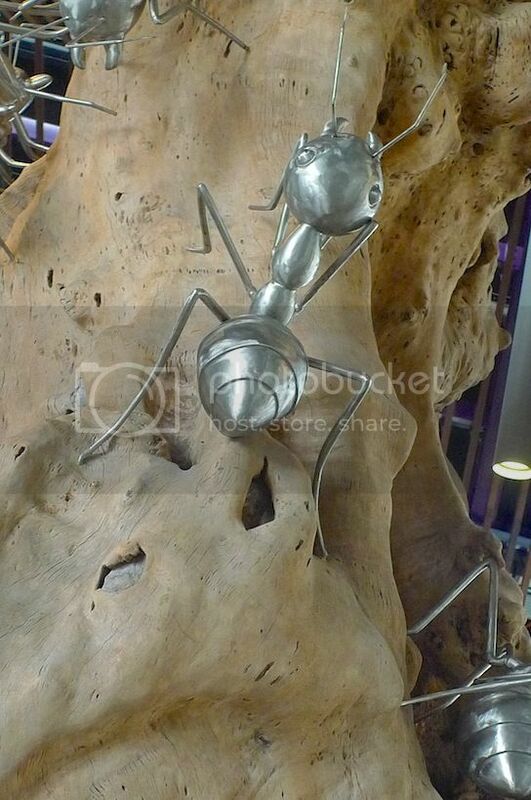 A closer shot of a giant ant. 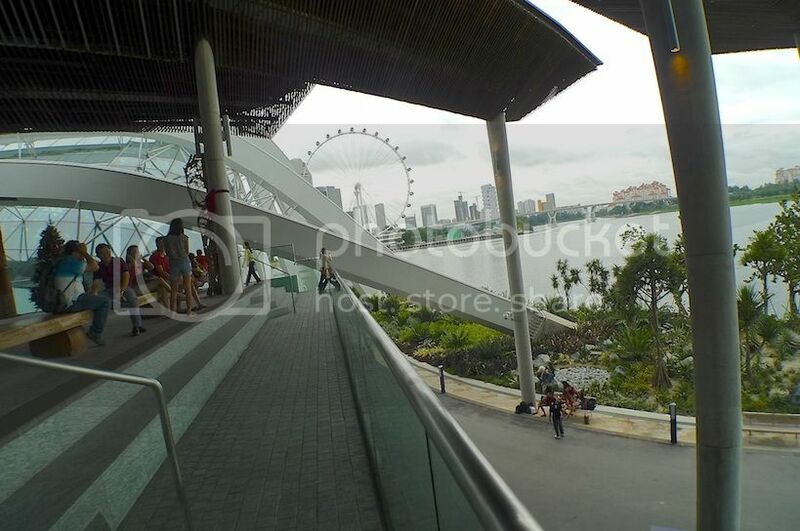 I could see Marina Bay from here. There were quite a number of people sitting there enjoying the view. The road facing Marina Bay. 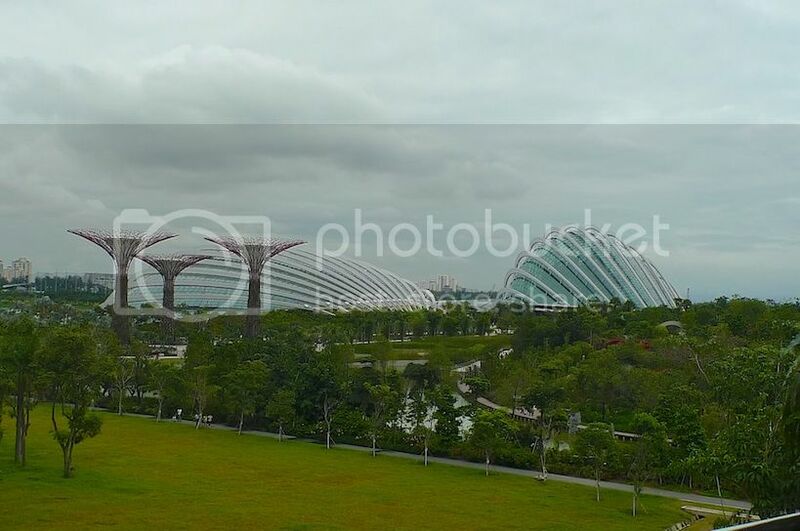 The glass building on the right is the Cloud Forest. 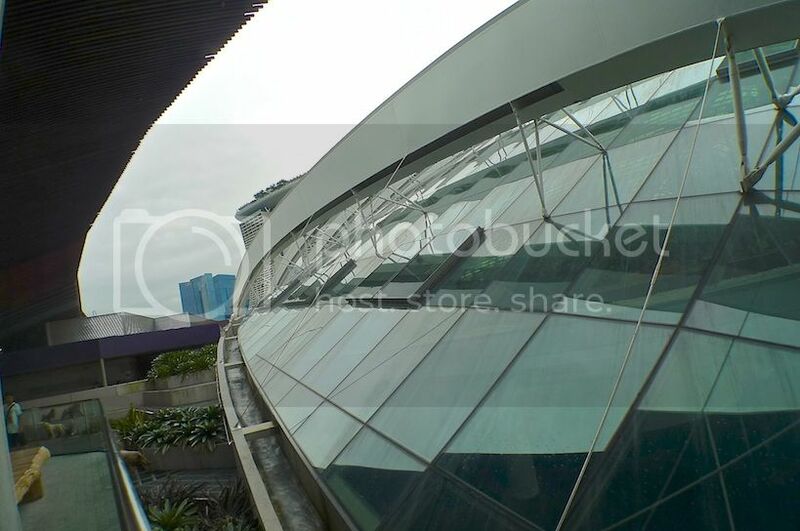 This Cloud Forest building is made up of 2,577 glass panels of varying sizes and shapes. Amazing. 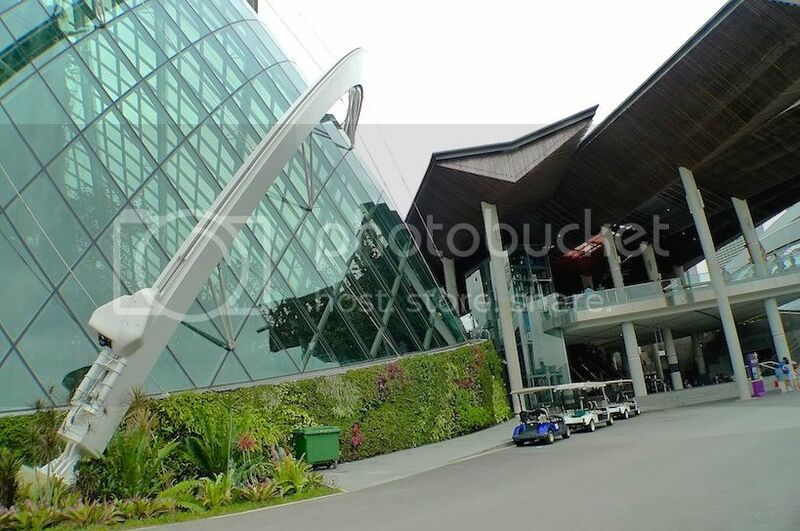 I then went down the escalator and walked out onto the road to take a picture of the Cloud Forest building. 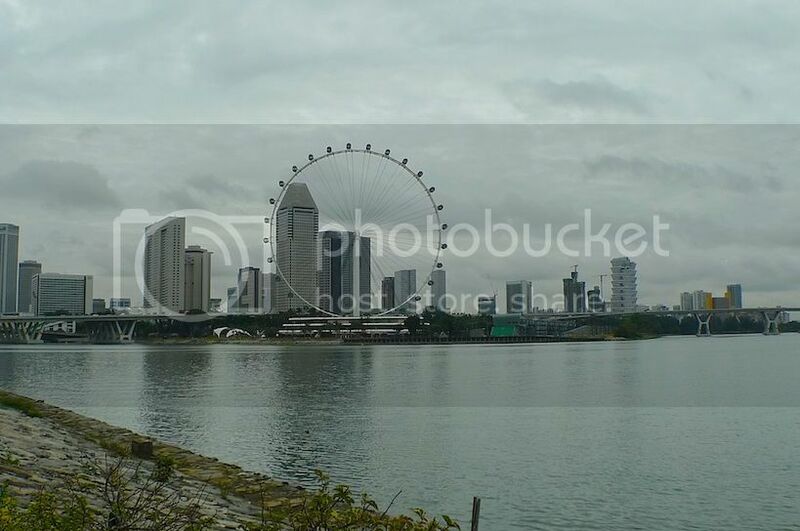 Walking along the promenade, I took a photo of the Singapore Flyer. 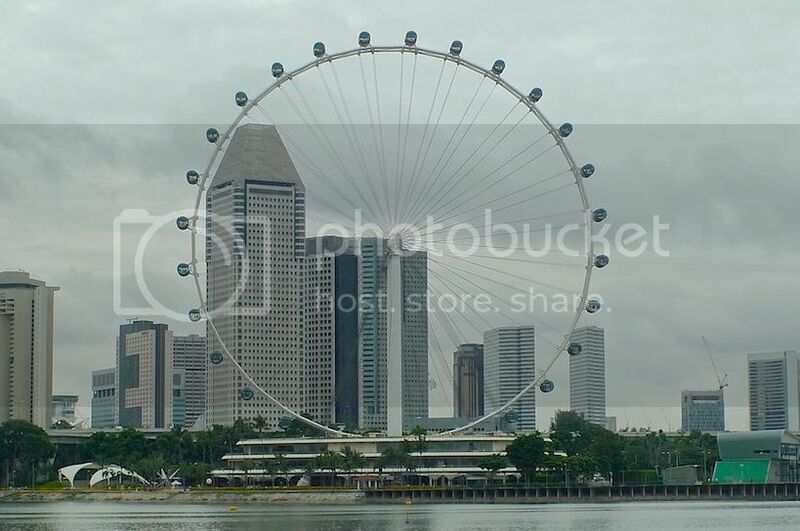 Arguably the world's tallest Ferris Wheel, the Singapore Flyer could be seen clearly from here. 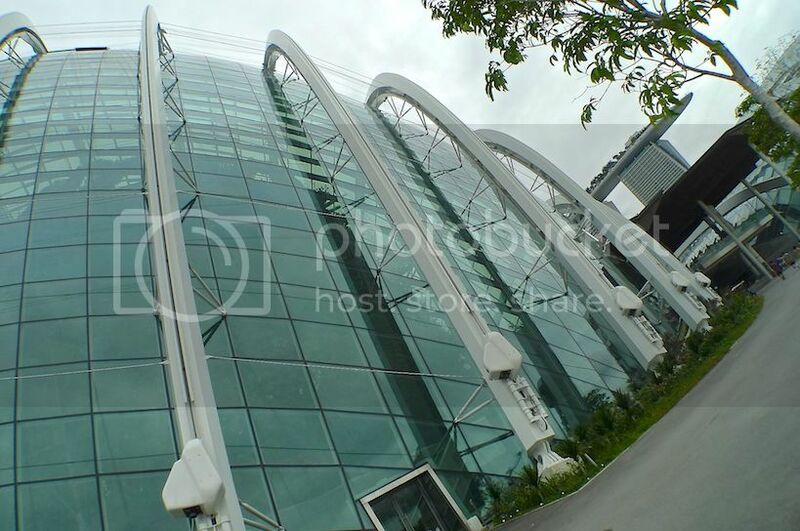 Another shot of the Cloud Forest building from the outside. 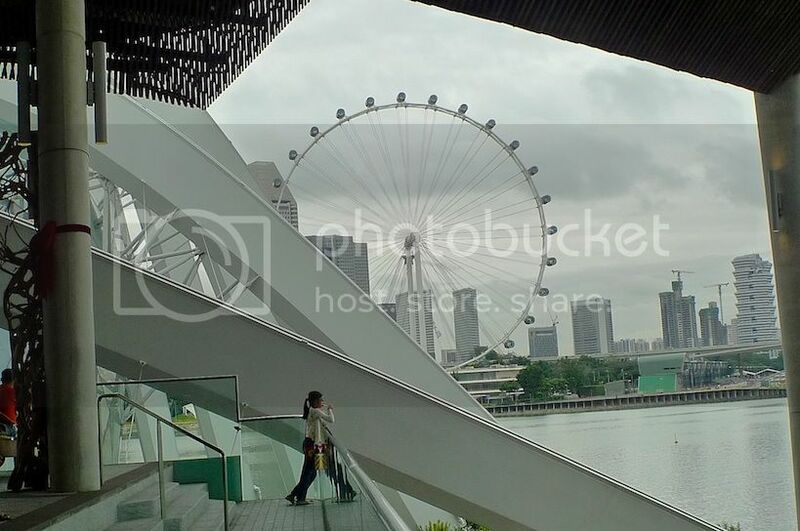 Can you see Marina Bay Sands in this picture? Then I walked over to the Flower Dome building next door. With 3,332 glass panels of different shapes and sizes that sits on a steel grid which acts like an eggshell, the Flower Dome is like one large giant puzzle! 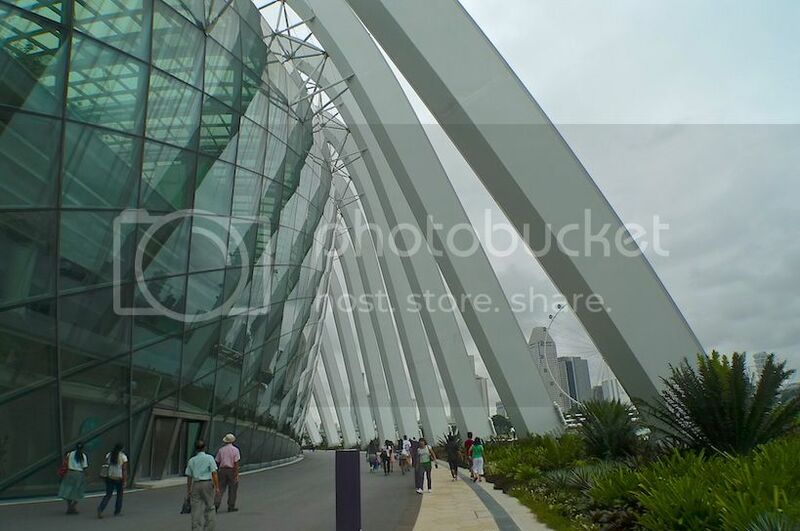 Designed by Wilkinson Eyre Architects, both the Cloud Forest and Flower Dome are intended to be an energy efficient showcase of sustainable building technologies and to provide an all-weather edutainment space in Gardens by the Bay. 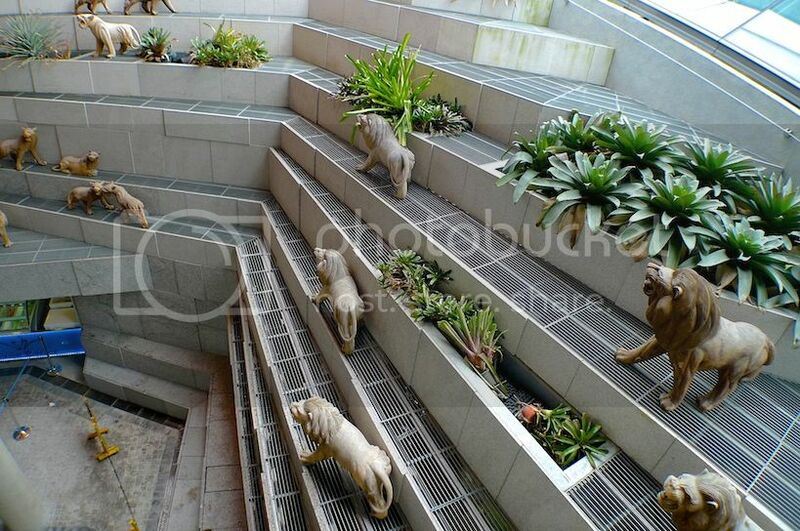 Not surprisingly, it won World Building of the Year at the World Architecture Festival 2012. The two glassed conservatories sure looked impressive from the outside. I could not wait to get inside!